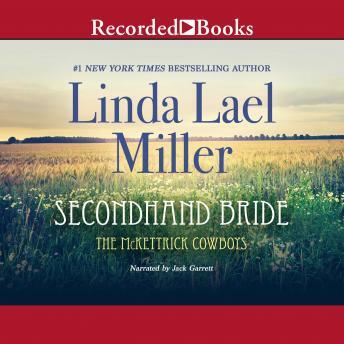 The reissue of #1 New York Times bestselling author Linda Lael Miller's Secondhand Bride, the third installment in the McKettrick Cowboys series and the basis for her wildly popular McKettrick Men and McKettricks of Texas series with Harlequin! The youngest McKettrick brother, Jeb, is the wild one who never could stay out of trouble. And trouble is what he gets when he proposes to Chloe Wakefield. No sooner had he and the pretty schoolteacher tied the knot than Jeb discovers she's already married! After a major dustup with Chloe in a Tombstone barroom, an irate Jeb hightails it back to the Triple M Ranch, certain that his chances of winning the spread in a marriage race with his brothers are dashed. Now Chloe has come to Indian Rock, hoping to find her beloved uncle John and a much-needed teaching post. But when she unexpectedly crosses paths with Jeb, her rage-and passion-flare even stronger than back in Tombstone. Chloe never intended to mislead Jeb about her previous marriage to a scoundrel of a man. But when she finds out Jeb needs a bride and a baby in order to inherit the Triple M, she is livid. Learning to trust will be the hardest part of this mixed-up marriage-until a stagecoach robbery and the return of a dangerous stranger prove to Jeb and Chloe that they need each other to love and honor as long as they both shall live.